We recently upgraded Sea Gem's VHF radio to a model with AIS, and that investment paid dividends during our trip from Miami to New York. The greatest fear of many sailors is being struck by a large commercial ship. Sea Gem is a big sailboat, but to a thousand-foot tanker, she's little more than a bump in the road. 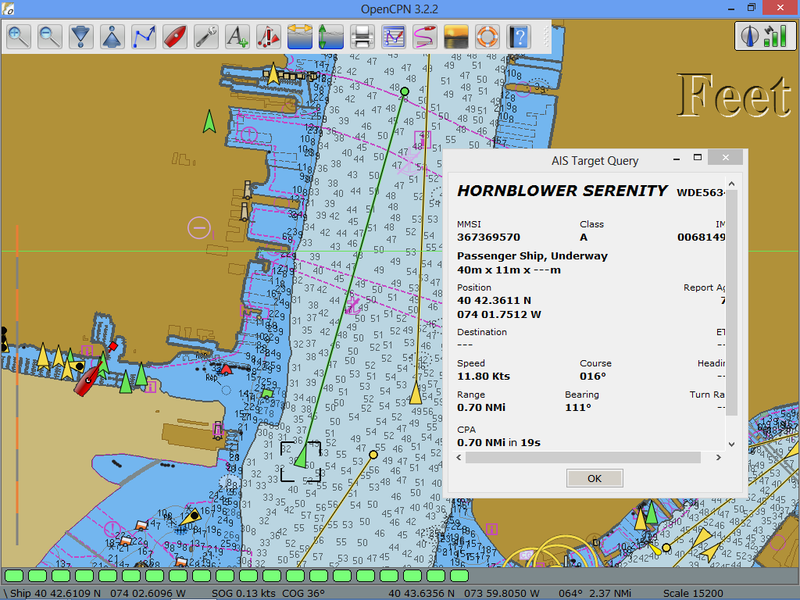 ﻿﻿﻿﻿﻿﻿﻿﻿﻿﻿﻿﻿﻿During our trip north, we passed through several heavily trafficked commercial shipping lanes, and the AIS was a godsend. On several occasions, the AIS enabled us to either adjust course or contact approaching ships (at least one of which had not spotted us before we called) to ensure that all of the commercial ships remained tiny, harmless specks on the horizon. I certainly won't say that we would have had an accident had we not installed the AIS, but I do think that we'd have arrived in New York with a few more gray hairs.